My daughter, aka Capt. 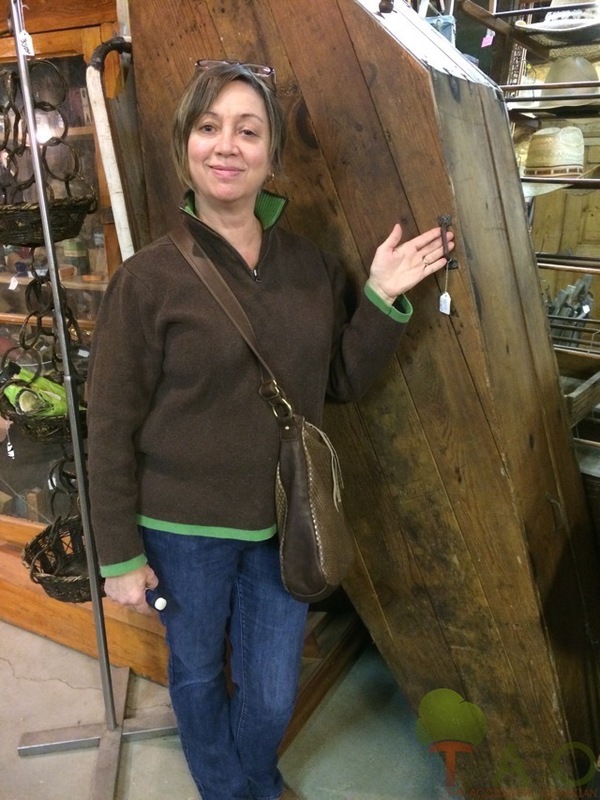 Jacks, and I have been antiquing since she was in the womb. 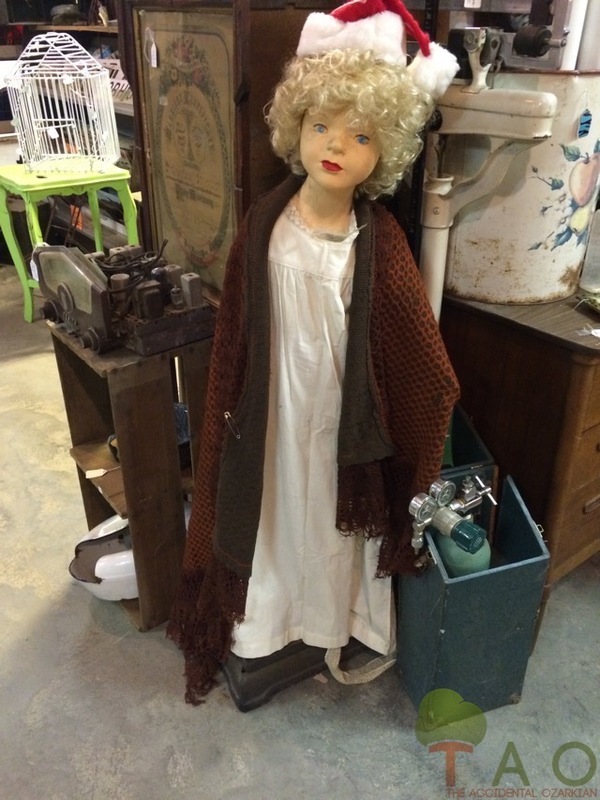 Throughout her childhood years, we spent loads of time in junk shops and at flea markets. 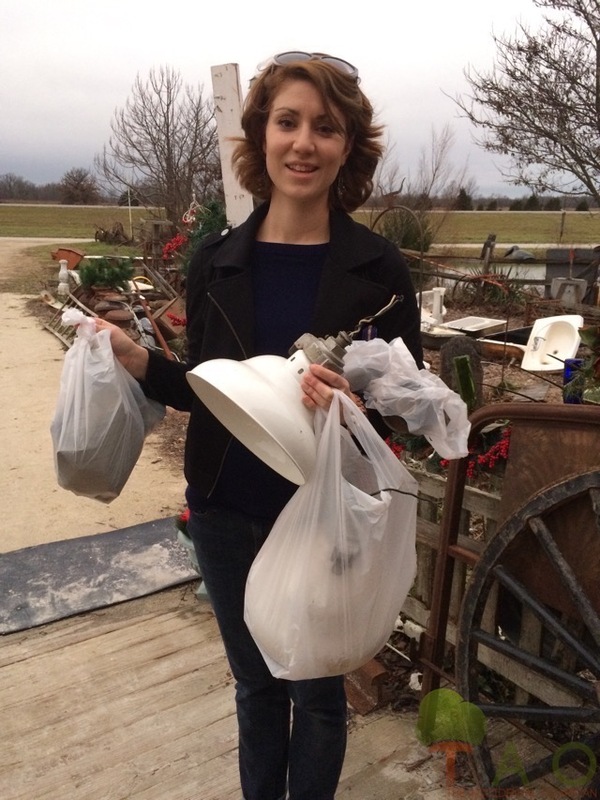 She even volunteered with me throughout the years at local charity thrift shops. Now, a well-respected commercial interior designer, Capt. 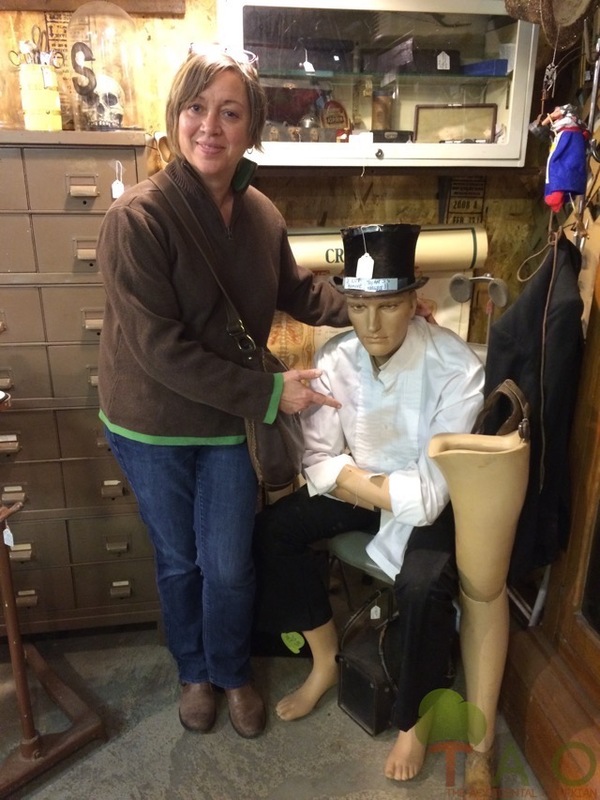 Jacks is really fun to go “junking” with these days, and especially on this day, when we visited ComeOnIn Antiques in Seymour, Mo. 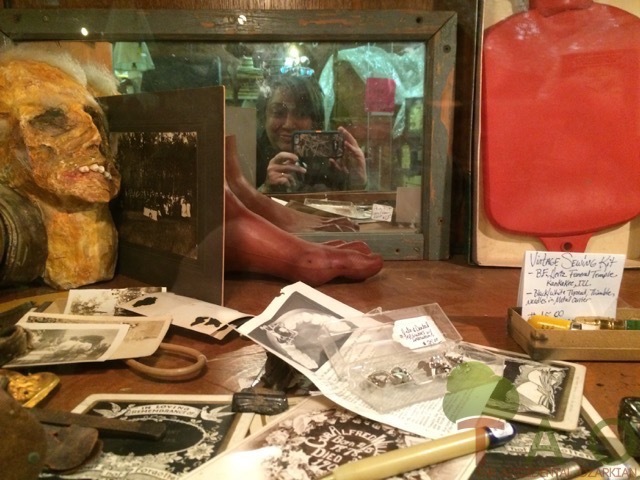 The reason I am especially fond of this place is because it doesn’t have many “fake antiques.” It’s the real deal here, run by a family that is interesting and at times, funny. 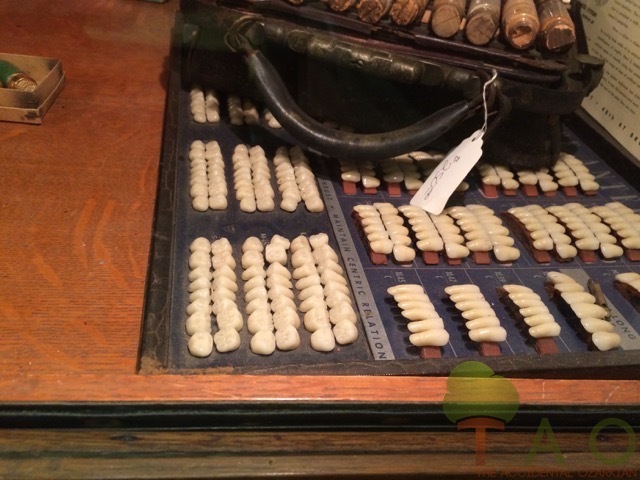 I want to shout about the merits of this actual antique shop where you won’t find “made in Chine” on items. 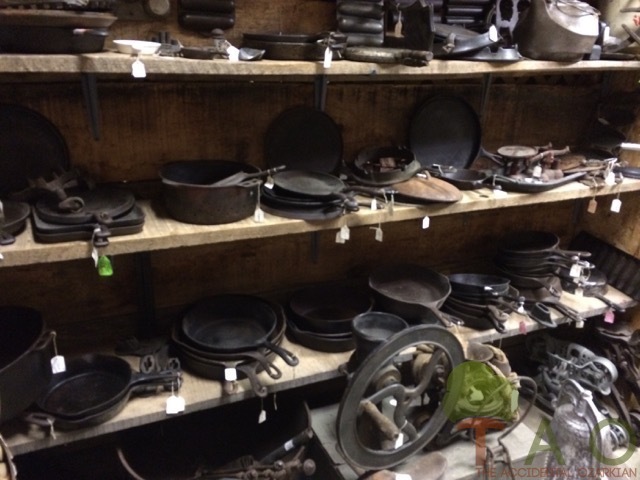 If cast iron collecting is your thing, here’s the place for it. We don’t want to know why this box is empty. We visited before Christmas, and of course, the place was decked out in the appropriate theme. You’ll find this practice in place for all seasons here. Hmmm. What would you do with this collection? And then, it got creepy. 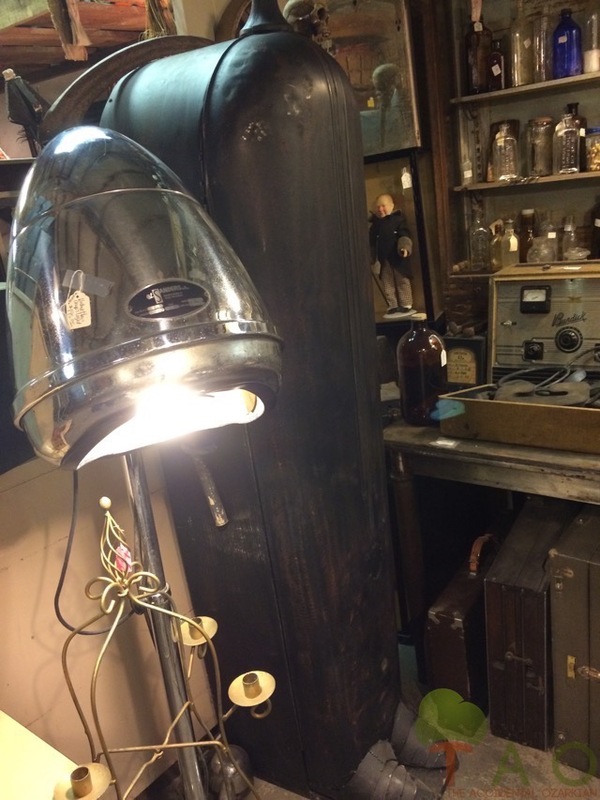 Check out this refurbished hairdryer, made into a lamp. 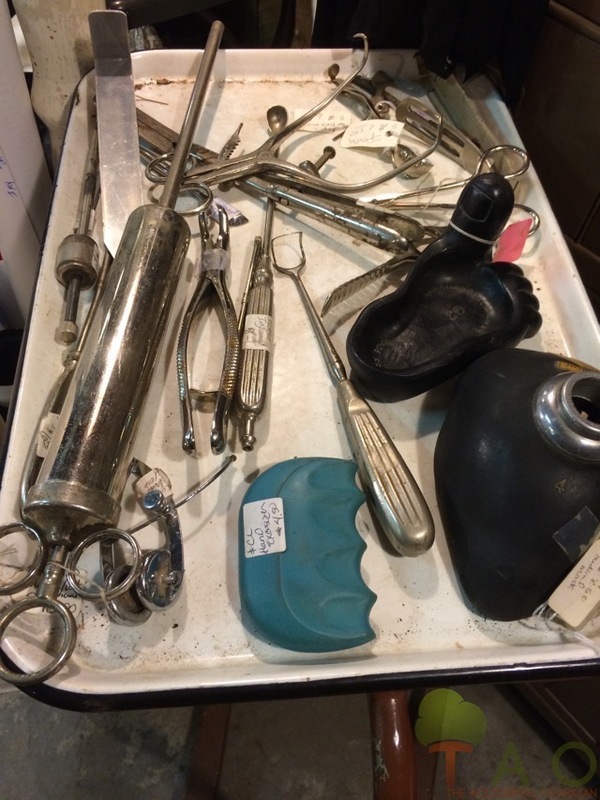 Medical supplies or torture instruments? 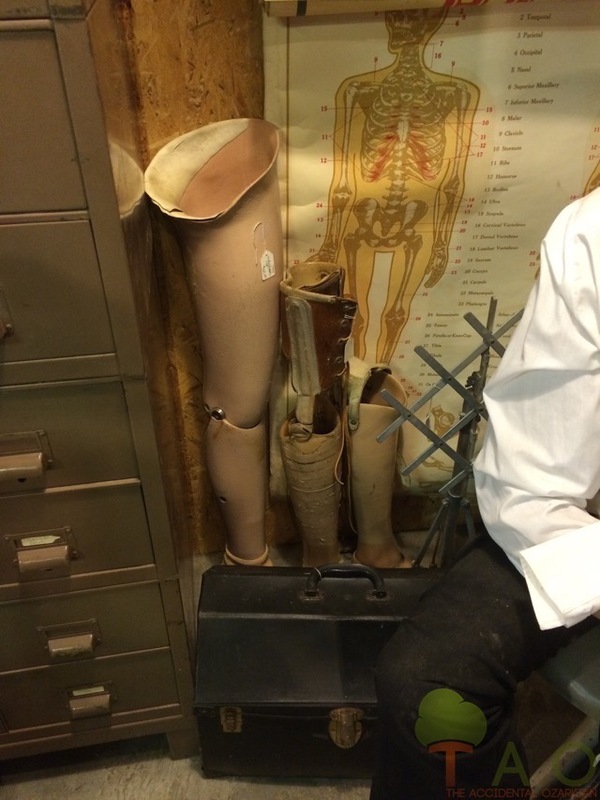 The store also offers a wide selection of prosthetics — vintage, of course. This guy — doesn’t look too happy to be set in the corner, away from the action. Capt. 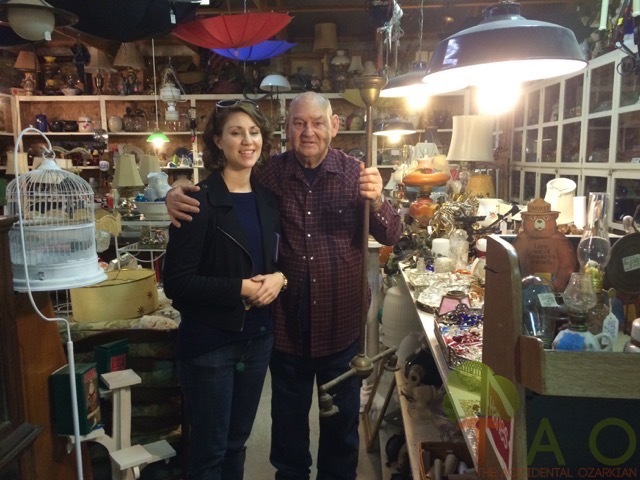 Jacks with the proprietor, as she found some vintage light fixtures. 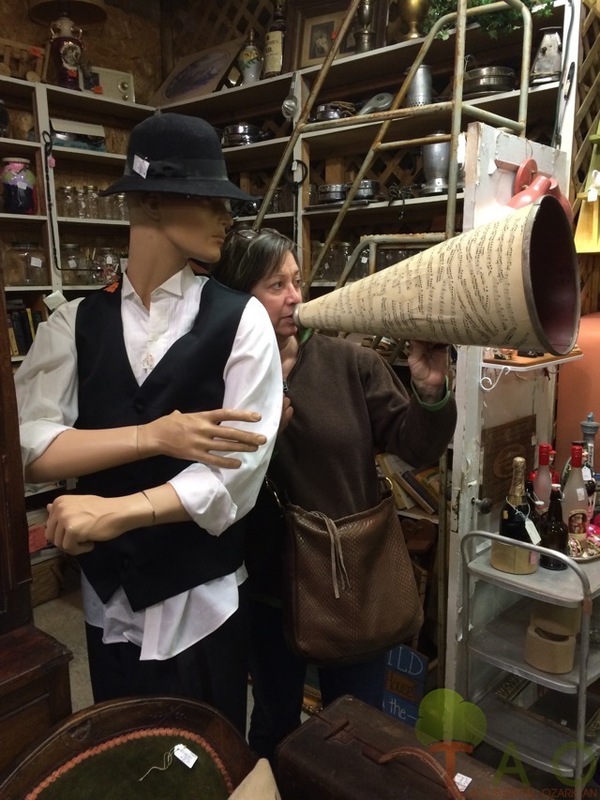 Be sure to visit ComeOnIn Antiques, and don’t forget to check out their Facebook page, too!